Jeannette Pickering Rankin, the first woman ever elected to Congress, is born on a ranch near Missoula, Montana Territory. Rankin was a social worker in the states of Montana and Washington before joining the women's suffrage movement in 1910. Working with various suffrage groups, she campaigned for the women's vote on a national level and in 1914 was instrumental in the passage of suffrage legislation in Montana. Two years later, she successfully ran for Congress in Montana on a progressive Republican platform calling for total women's suffrage, legislation protecting children, and U.S. neutrality in the European war. Following her election as a representative, Rankin's entrance into Congress was delayed for a month as congressmen discussed whether a woman should be admitted into the House of Representatives. Finally, on April 2, 1917, she was introduced in Congress as its first female member. The same day, President Woodrow Wilson addressed a joint session of Congress and urged a declaration of war against Germany. On April 4, the Senate voted for war by a wide majority, and on April 6 the vote went to the House. 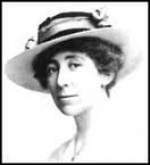 Citing public opinion in Montana and her own pacifist beliefs, Jeannette Rankin was one of only 50 representatives who voted against the American declaration of war. For the remainder of her first term in Congress, she sponsored legislation to aid women and children and advocated the passage of a federal suffrage amendment. The protecting powers of Greece have decided to reconstitute the unity of the kingdom without impairing the monarchical constitutional institutions that they have guaranteed to Greece. His Majesty King Constantine, having manifestly on his own initiative violated the Constitution of which France, England, and Russia are the trustees, I have the honor to declare to your Excellency that his Majesty the King has lost the confidence of the protecting powers, and that the latter consider themselves free toward him from the obligations resulting from their right of protection. I have in consequence the mission, with a view of re-establishing the real Constitution, to ask for the abdication of his Majesty King Constantine, who will himself designate, together with the protecting powers, a successor among his heirs. I am under the obligation to ask from you an answer within twenty-four hours. Code-breaking by French intelligence at the beginning of June 1918 had allowed the Allies to prepare for a German attack in France that was to begin at midnight on June 7. The French launched their own massive artillery bombardment some ten minutes earlier, catching the Germans while they were still preparing for the attack. The Germans countered with an even stronger assault, firing 250,000 rounds of poison gas—including mustard, phosgene, and diphenyl-chlorarsine—into the French trenches, incapacitating some 4,000 French soldiers, and killing 32. 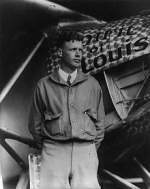 When 25-year-old Charles A. Lindbergh set down his monoplane, The Spirit of St. Louis, at Le Bourget Aerodrome in Paris on May 21, 1927, he instantly became the leading hero of a decade of American heroes and celebrities. Lindbergh had not expected any welcome in France, but word of his arrival spread through Paris, and twenty-five thousand people surrounded the plane even before he stopped taxiing. The frenzy continued when Lindbergh returned to the United States on June 11, 1927, where President Calvin Coolidge and his wife welcomed him at a Washington Monument stand specially built for the occasion. Coolidge's welcome and Lindbergh's brief response were broadcast nationwide. Coolidge lavished praise on the aviator in a very serious voice, and Lindbergh responded humorously. Beneath the joking about a battleship being sent for him, however, was perhaps a serious concern about becoming a prisoner of his sudden fame. SA and SS: The German government lifts the ban. The SA (Sturmabteilung, German for "Stormtroopers") also referred to as "Brownshirts", were Hitler's paramilitaries and were of key importance in Hitler's rise to power in the 1930s. With Ernst Röhm in command they often made attacks and raids on other political parties, particularly the communists and during elections they would surround the building to intimidate the voters to vote for the Nazis. They murdered political opponents and terrorized voters. The King and Queen of England are in America to visit with the President and First Lady. As is befitting of such a grand event, the King and Queen are fed some of the gourmet foods of the United States; the first time a British Monarch consumes hot dogs. The British are determined not to allow the Germans to capture the French fleet and are prepared to use force against their ally. Britain demonstrates that it will not remain on the defensive, by bombing Italian targets in response to Mussolini's declaration of war on England and France. Franklin D. Roosevelt decries Italy's announcement of war with France, saying, "The hand that held the dagger has struck it into the back of its neighbor." 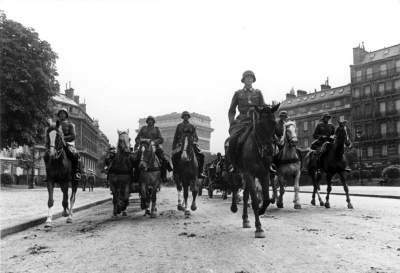 Polish government-in-exile moves from France to London after the defeat of France. The most outstanding of the numerous subjects of discussion in the Officers Corps are, for the time being, the torpedo positions and the problem whether the naval building program, up to autumn 1939, envisaged the possibility of the outbreak of war as early as 1939, or whether the emphasis ought not to have been laid, from the first, on the construction of U-boats . . . . If the opinion is voiced in the Officers Corps that the entire naval building program has been wrongly directed and if, from the first, the emphasis should have been on the U-boat weapon and after its consolidation on the large ships, I must emphasize the following matters: The building up of the fleet was directed according to the political demands, which were decided by the Fuehrer. The Fuehrer hoped, until the last moment, to be able to put off the threatening conflict with England until 1944-45. At that time the Navy would have had available a fleet with a powerful U-boat superiority and a much more favorable ratio as regards strength in all other types of ships, particularly those designed for warfare on the High Seas. The development of events forced the Navy, contrary to the expectation even of the Fuehrer, into a war which it had to accept while still in the initial stage of its rearmament. The result is that those who represent the opinion that the emphasis should have been laid from the start on the building of the U-boat arm appear to be right. I leave undiscussed how far this development, quite apart from difficulties of personnel, training, and dockyards, could have been appreciably improved in any way in view of the political limits of the Anglo-German Naval Treaty. I leave also undiscussed, how the early and necessary creation of an effective air force slowed down the desirable development of the other branches of the forces. I indicate, however, with pride, the admirable and, in spite of the political restraints in the years of the Weimar Republic, far-reaching preparation for U- boat construction, which made the immensely rapid construction of the U-boat arm, both as regards equipment and personnel, possible immediately after the assumption of power. The Lithuanian Minister called on me today to inform me of the further progress of the discussions with the Soviet Union. After the Soviet Union had raised the question of the safety of the Soviet garrisons in Lithuania and had rejected the suggestion for a mixed commission to investigate the incidents, the Lithuanian Government had of its own accord taken a series of measures which it thought would satisfy the Soviet Union. It might perhaps be admitted that relations between the Soviet garrisons and the Lithuanian population had earlier been treated too casually. Restrictive and control measures had now been taken, and many arrests and house searches made, etc. It was known that no reply was received to the Lithuanian suggestion of sending the Foreign Minister to Moscow. It was, therefore, all the more surprising that not the Foreign Minister but Minister President Merkys was summoned to Moscow. On June 7 Merkys had had his first conversation with Molotov. The latter had reproached him severely regarding the safety of the Soviet garrisons and in this connection presented a great many detailed incidents. Molotov had in particular maintained persistently that Butayeff, a member of the Red Army, who according to Lithuanian reports had committed suicide, had been shut by Lithuanians. He had expressed his dissatisfaction very plainly and stressed that the Lithuanian Ministry of the Interior was not equal to its task. In a subsequent conversation on June 9, Molotov had brought up questions of foreign policy, which had increased Lithuanian fears regarding the course of the conversations. 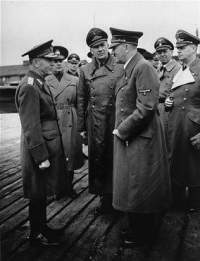 Molotov had maintained that a military alliance existed between the three Baltic States and as proof had referred to the frequent meetings of the chiefs of staff of the three countries and to other frequent conferences between Baltic personalities. Merkys had replied that there existed neither secret nor open agreements which could violate the letter or the spirit of the Agreement of October 10, 1939. There was the old political treaty between the Baltic States but no military alliance. Merkys had then himself expressed the wish to invite the Foreign Minister to the conversations. The latter had arrived in Moscow yesterday afternoon. Herr Skirpa had not yet received any more recent reports. From the standpoint of protocol, everything had taken place in very polite form. The Lithuanian Government still did not know what the intentions of the Soviet Union might be. 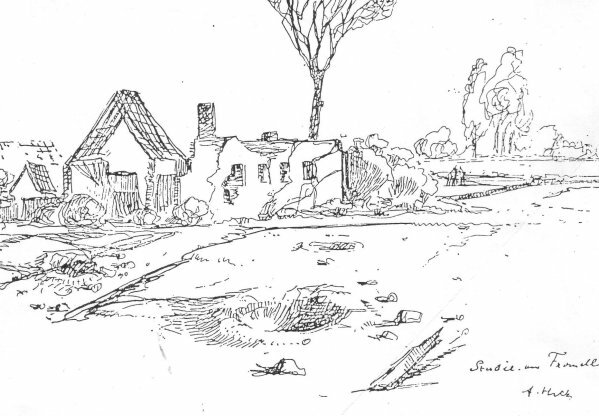 The Lithuanian Government was prepared to do even more for the safety of the garrisons than it had done so far. If the Soviet Union now made broader political or military demands, the Lithuanian Government could not take the responsibility for their acceptance. Thus far, the subject of Lithuania's relations with Germany had not been discussed during the foreign policy conversations. However, it was no doubt to be expected that the Soviet Union would raise questions in this respect, too. Here I interjected that there was nothing in German-Lithuanian relations which was not or should not be known by the Soviet Union. Herr Skirpa asked whether we had not instructed our Ambassador in Moscow to make inquiries. I replied in the negative and avoided further discussion of the matter with the remark that our Ambassador would certainly make a report of his own accord." War in the Air: Twenty consecutive raids by the RAF begin, against targets in the Ruhr, the Rhineland, as well as Hamburg and Bremen. Romania: Antonescu meets with Hitler in Munich and agrees to full cooperation of their two armies against Russia. Note: Hitler's promises of massive armaments to Romania will not materialize until almost the end of the war. The United States and Russia have reached a full understanding on the "urgent tasks of creating a second front in Europe in 1942," and have signed a master lease-lend agreement providing reciprocal defense aid and designed to create "a new and better world" after victory is won, it was announced officially yesterday. 1. The urgent tasks of creating a second front in Europe in 1942. 2. Measures for increasing and speeding up the supplies of planes, tanks and other kinds of war materials from the United States to the Soviet Union. 3. Fundamental problems of cooperation of the Soviet Union and the United States in safeguarding peace and security to the freedom-loving peoples after the war. War at Sea: German U-boats begin laying mines off Boston, Delaware and Chesapeake Bay. War in the Air: The US 8th Air Force raids the German naval base at Wilhelmshaven (200 B-17s), while the RAF attacks Muenster and Duesseldorf. [The] opening of a second front in Europe, previously postponed from 1942 until 1943, is now being put off again, this time until the spring of 1944. Your decision creates exceptional difficulties for the Soviet Union, which, straining all its resources, for the past two years, has been engaged against the main forces of Germany and her satellites, and leaves the Soviet Army, which is fighting not only for its country, but also for its Allies, to do the job alone, almost single-handed, against an enemy that is still very strong and formidable. Need I speak of the disheartening negative impression that this fresh postponement of the second front and the withholding from our Army, which has sacrificed so much, of the anticipated substantial support by the Anglo-American armies, will produce in the Soviet Union - both among the people and in the Army? As for the Soviet Government, it cannot align itself with this decision, which, moreover, was adopted without its participation and without any attempt at a joint discussion of this highly important matter and which may gravely affect the subsequent course of the war. Five days after the D-Day landing, the five Allied landing groups, made up of some 330,000 troops, link up in Normandy to form a single solid front across northwestern France. On June 6, 1944, after a year of meticulous planning conducted in secrecy by a joint Anglo-American staff, the largest combined sea, air, and land military operation in history began on the French coast at Normandy. The Allied invasion force included 3 million men, 13,000 aircraft, 1,200 warships, 2,700 merchant ships, and 2,500 landing craft. Briefly, we acknowledge that the military responsible government in any given territory will inevitably make decisions required by military developments, but are convinced that the natural tendency for such decisions to extend to other than military fields would be strengthened by an agreement of the type suggested. In our opinion, this would certainly result in differences between you and the Soviets and in the division of the Balkans into spheres of influence despite the declared intention to limit the arrangements to military matters. We believe efforts should be made to establish consultative machinery to dispel misunderstandings and restrain the tendency toward the development of exclusive spheres. I am much concerned to receive your message. Action is paralyzed if everybody is to consult everybody else about everything before it is taken. Events will always outstrip the changing situations in these Balkan regions. Somebody must have the power to plan and act. A Consultative Committee would be a mere obstruction, always overridden in any case of emergency by direct interchanges between you and me, or either of us and Stalin . . . . The Russians are ready to let us take the lead in the Greek business, which means that EAM and all its malice can be controlled by the national forces of Greece. Otherwise civil war and ruin to the land you care about so much. I always reported to you, and I always will report to you. You shall see every telegram that I send. I think you might trust me in this . . . . the Russians are about to invade Rumania . . . . it would be a good thing to follow the Soviet leadership, considering that neither you nor we have any troops there at all and that they will probably do what they like anyhow . . . . I see no difficulty whatever in our addressing the Russians at any time on any subject, but please let them go ahead upon the lines agreed as they are doing all the work . . . .
To sum up, I propose that we agree that the arrangements I set forth in my message of May 31 may have a trial of three months, after which it must be reviewed by the three powers. As is evident, the landing, conceived on a grandiose scale, has succeeded completely. My colleagues and I cannot but admit that the history of warfare knows no other like undertaking from the point of view of its scale, its vast conception, and its masterly execution. As is well known, Napoleon in his time failed ignominiously in his plan to force the Channel. The hysterical Hitler, who boasted for two years that he would effect a forcing of the Channel, was unable to make up his mind even to hint at attempting to carry out his threat. Only our Allies have succeeded in realizing with honor the grandiose plan of the forcing of the Channel. History will record this deed as an achievement of the highest degree. From this point of view a demonstration of the new weapon may best be made before the eyes of representatives of all United Nations, on the desert or a barren island. The best possible atmosphere for the achievement of an international agreement could be achieved if America would be able to say to the world, "You see what weapon we had but did not use. We are ready to renounce its use in the future and to join other nations in working out adequate supervision of the use of this nuclear weapon." DR. STEINBAUER (Counsel for Defendant Seyss-Inquart): Yesterday we had reached one of the most important points in the Indictment, the question of the evacuation of Jews from the Netherlands. Witness, what did you do when you learned of this removal of the Jews from the Netherlands? Did you write any letters? SEYSS-INQUART: Yesterday I stated that I had people sent from the Netherlands to the Auschwitz Camp in order to ascertain whether there were accommodations and, if so, what kind. I have given you the result of this inspection. I asked the Security Police, that is, Heydrich, whether it would not be possible for the evacuated Jews to keep up correspondence with the Netherlands. This concession was made. For about three quarters of a year or a year correspondence was maintained; not only short post cards but long letters were permitted. I do not know how the camp administration did this; but the letters were identified as authentic by the addressee. When the number of letters dropped off later-it never stopped completely-the Security Police told me that the Jews in Auschwitz now had fewer acquaintances in the Netherlands, meaning other Jews, because most of them were already in Auschwitz. DR. STEINBAUER: Witness, did you turn to Bormann, too? In prison at Nuremberg, he (Seyss-Inquart) responded to those around him with a sensitivity which was rare among the defendants. He wrote to his wife about the prison workers who carried out menial tasks under the supervision of Andrus's guards: "They are the real mourners. How have they reacted to the fact that only because of us they were not already long united with their families?" Other defendants hated the guards for their noisiness and brash behavior, forcing unwelcome conversation on the prisoners by leaning through the hatch in the door of the cell, cadging autographs. Only Seyss-Inquart had any sympathy for them: "They are young, very young . . . . Is it any wonder that they are impatient and restless. After a short time nearly all of them have been friendly and open, as far as the rules allow." But that kind of sympathetic understanding needs to be compared with Seyss-Inquart's offer in 1943 to Dutch Jews who had mixed marriages to choose between Auschwitz and sterilization. His testimony did not leave a good impression . . . . The only defence Seyss-Inquart had been able to give was that his administration in Holland could have been worse. He might be satisfied to compare himself against [Hans] Frank in Poland or Koch in the Ukraine; the Tribunal must measure him against the law. Seifert, 42, had just been diagnosed with tuberculosis, and had also suffered from mental problems since his wife died in childbirth several years before. Seifert also felt the government had been cheating him of a war pension he thought he earned for service in World War II. While doctors said he had schizophrenia, they did not consider him violent. But on June 11 he entered a Catholic elementary school with a homemade flamethrower and a long lance, reportedly yelling, "I am Adolf Hitler the Second!" He used the flamethrower to start fires in classrooms, stabbing victims with his lance. According to German Web site Geschichte, the factors leading up to the confusing and violent attack may never be fully understood. Many of the teachers at the school were wounded in their efforts to stop Seifert and protect the children. The Web site MilitaryPhotos.Net describes Seifert's attack and heroic efforts by teachers and bystanders to protect the children. Two teachers . . . died in their efforts to stop Seifert. Several passing garbage-truck drivers finally halted the massacre and put out the fire. In the end, eight students and two teachers died, and more than 20 were injured. As he left the school, Seifert swallowed insecticide, hoping to commit suicide before being caught. Police apprehended him first, but he died the next day while in the hospital. The incident is often included on lists of the worst school massacres in history. After 49 years, the Russian military occupation of what had been East Germany ends with the departure of the Red Army from Berlin.